Brothers Malcolm, Angus and George Young were born in Glasgow, Scotland, and moved to Sydney with most of their family in 1963. George was the first to learn to play the guitar. He became a member of the Easybeats, one of Australia's most successful bands of the 1960s. In 1966, they became the first local rock act to have an international hit, with the song "Friday on My Mind".Malcolm followed in George's footsteps by playing with a Newcastle, New South Wales, band called the Velvet Underground (not to be confused with the New York–based Velvet Underground). Malcolm and Angus Young developed the idea for the band's name after their older sister saw the initials "AC/DC" on a sewing machine. 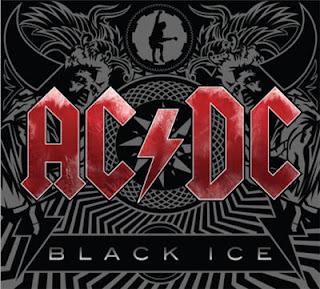 "AC/DC" is an abbreviation for "alternating current/direct current". The brothers felt that this name symbolised the band's raw energy, power-driven performances, and a love for their music. "AC/DC" is pronounced one letter at a time, though the band is popularly known as "Acca Dacca" in Australia. The first AC/DC album to gain worldwide distribution was a 1976 compilation of tracks taken from the High Voltage and T.N.T. LPs. Also titled High Voltage, and released on the Atlantic Records label, the album sold three million copies worldwide, partly because of its popularity with a British punk audience. The track selection was heavily weighted toward the more recent T.N.T., and included only two songs from their first LP. The band's next album, Dirty Deeds Done Dirt Cheap, was released in the same year in both Australian and international versions, like its predecessor. Track listings varied worldwide, and the international version of the album also featured "Rocker" from T.N.T. 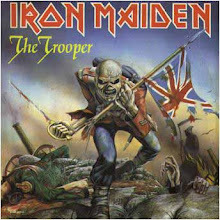 The original Australian version included "Jailbreak" (now more readily available on the 1984 compilation EP '74 Jailbreak or as a live version on the 1992 Live album). Dirty Deeds was not released in the US until 1981, by which time the band were at the peak of their popularity. Bronze statue of Bon Scott, unveiled in Fremantle, Western Australia, in October 2008 AC/DC were a formative influence on New Wave of British Heavy Metal bands who emerged in the late 1970s, such as Saxon and Iron Maiden, in part as a reaction to the decline of traditional early 1970s heavy metal bands.